Photo courtesy of Hotel De France. 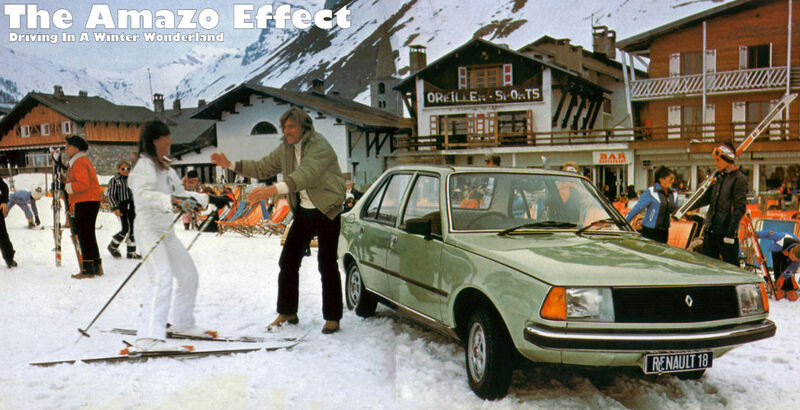 It wasn't only the 1975 Le Mans winning Gulf Mirage GR8 that left from that famous hotel that year. 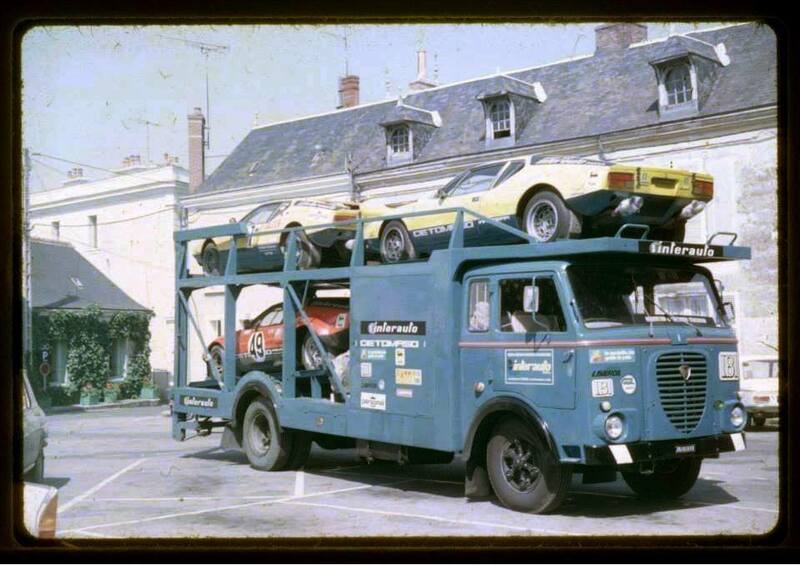 Heres three De Tomaso Panteras on their race transporter about to leave the square in front of the hotel in the same year. Car no. 49 in red and black went onto race as car no.43, with Pierre Rubens & Paolo Bozzetto taking the car to 16th place overall. Car no.7 (in yellow above the cab of the Lancia EsaGamma transporter), was raced by Pierre Polese and a Mr Willer, but failed to finish due to head gasket failure.